Logline: A young man is forced to confront his alien heritage, and the magnitude of his existence on Earth, when malevolent members of his race arrive on Earth with a catastrophic agenda. 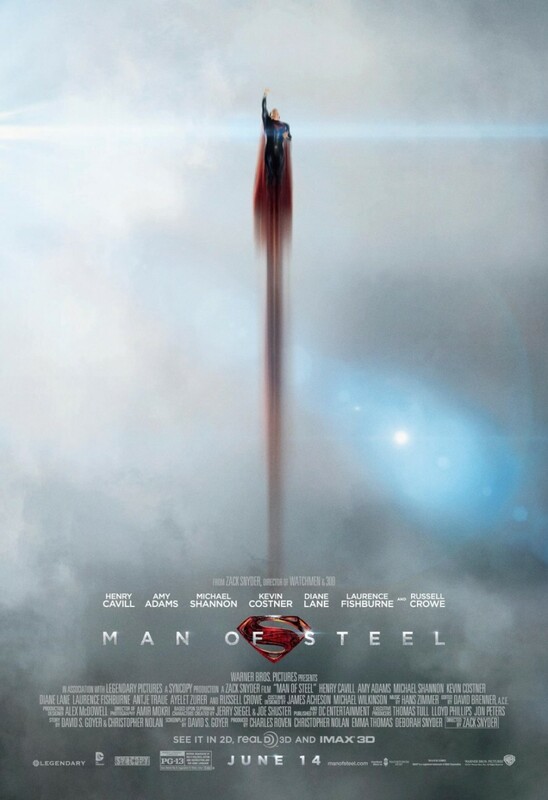 Forget Superman Returns (2006), Bryan Singer’s ill-fated sequel to the original Superman movies of yesteryear, Man of Steel is the Superman movie we’ve been waiting for (although I still really want to know what Kevin Smith’s Superman Lives script – with Nic Cage attached - would’ve been like). 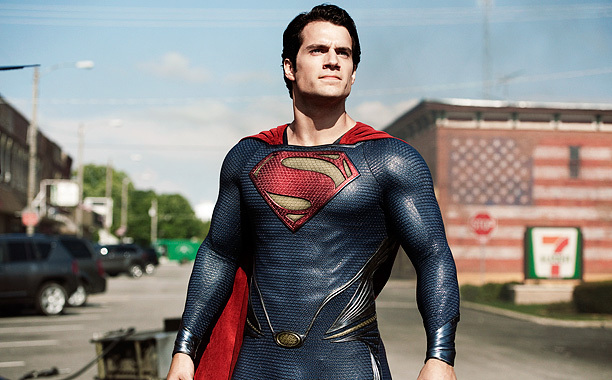 The movie has divided audiences, and it’s easy to see why; Man of Steel is closer to the vivid comic book stylised narrative and action violence than any previous Superman movie. Zack Snyder has succeeded superbly, just as he did in re-booting Romero’s cult classic Dawn of the Dead almost ten years ago, and delivers a movie rich in character, bursting at the seams with symbolism and sub-text (more on that in a moment), and featuring some of the most blistering, hammering (er, hang on, this is DC, not Marvel) scenes of superhero vs. supervillain combat ever committed to celluloid (er, digital file). Henry Cavill is a brilliant casting as Kal-El, known to his adoptive parents as Clark Kent, but known to the world as “Superman”. However, in a nice scripting and directing touch the name Superman is only mentioned one-and-a-half times in the whole movie. Yes, a half, as the omnipresent Lois Lane (Amy Adams, probably miscast, but never mind) takes it upon herself to interpret the “S” on Kal-El’s uber chainmail suit of armour as another word and not the concept of “hope” as Kal-El explains. She’s interrupted before she can finish the word, and it’s one of several moments of sly and subtle humour. Michael Shannon chews the scenery, giving Jack Nicholson and Heath Ledger a run for their money, as General Zod (I wonder what Terence Stamp thinks?) 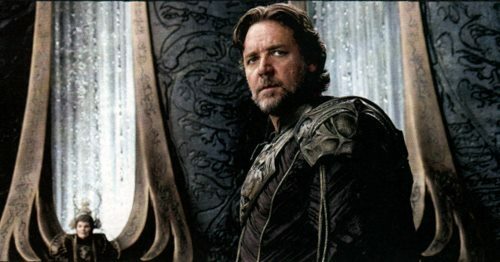 He is one pissed off military leader, and is hell bent on terra-forming Earth after Jor-El (Russell Crowe attempting to Shakespearenise [Ed: ?!] the role) took it upon himself to seal the fate of Krypton’s people by giving his son all the power and code of origin. 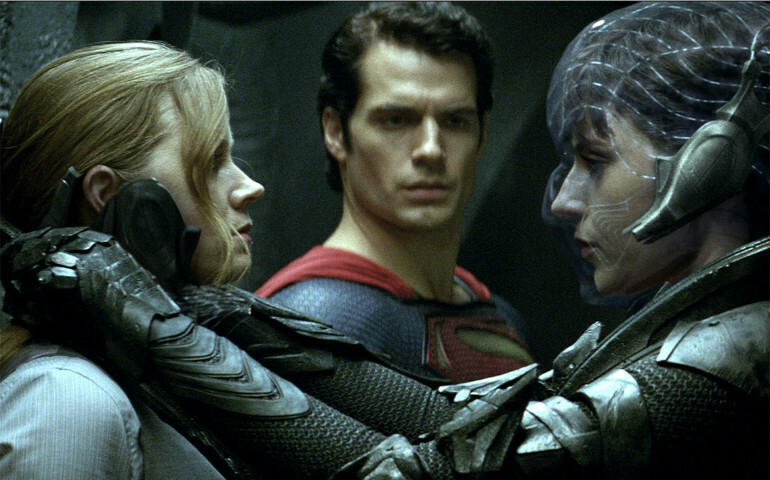 Zod and the Man of Steel are set to battle it out hard and good. Antje Traue as General Zod’s right-hand woman Faora-Ul makes for a most fetching Krypton warrior, all voluptuous attitude and menace, while Kevin Costner (two Robin Hoods as Kal-El/Clark Kent’s fathers?!) and Diane Lane do solid work as the Smallville locals, Jonathan and Martha Kent, who’ve harboured a monumental secret. When Jonathan explains to his son that the world isn’t yet ready for whom he really is, the Christian faith seeps through the comicbook cracks and spreads liberally across the farmland. Yes, the religious iconography, symbolism, and metaphors are rife, but curiously they don’t deter from the movie’s primal superhero appeal. Okay, so the Man of Steel is probably the Second Coming. We see him turn his cheek, do battle against Heaven’s fallen angel, and receive apparitional advice from his All-Mighty father. But Snyder manages to keep his movie on the right side of absurdity, although the Greatest American Hero moment of Kal-El grappling with his extraordinary flying ability has borderline. Man of Steel will age well, I can feel it in my bones. Now, who’s going to play Lex Luthor, and they had better not play him for comic relief! NB: If you keep your eyes peeled, there’s a beautiful and pivotal moment when Henry Cavill’s visage morphs briefly into that of Christopher Reeve.